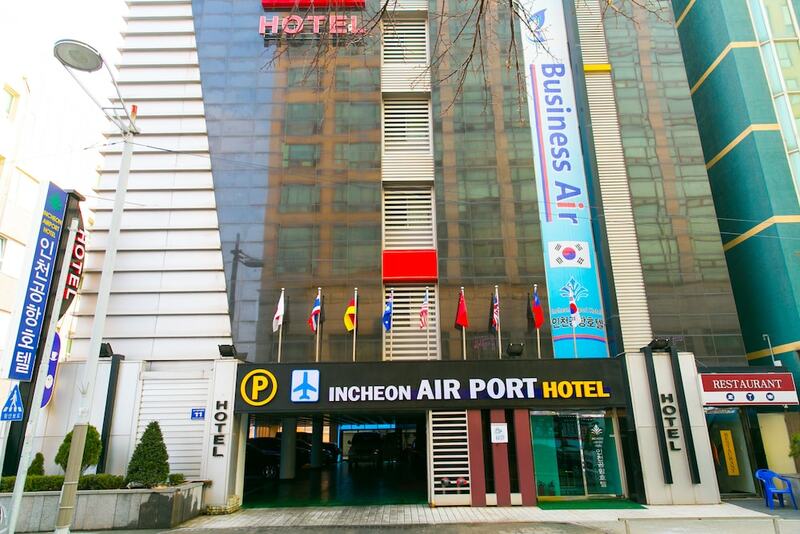 This hotel is located in Incheon (Jung-gu), near the airport, SKY72 Golf Club, and BMW Driving Center. Area attractions also include Incheon Bridge and Yeongjong Pier. Along with a restaurant, this hotel has a 24-hour business center and a microwave in a common area. Free WiFi in public areas is provided, as well as free self parking, a free airport shuttle, and free train station pick-up. Additionally, a refrigerator in a common area, a meeting room, and concierge services are onsite. All 40 rooms boast deep soaking tubs and offer free WiFi and plasma TVs. Guests will also find free wired Internet, refrigerators, and minibars. The hotel offers a restaurant. Public areas are equipped with complimentary wired and wireless Internet access. Business-related amenities at this 3-star property consist of a 24-hour business center and a meeting room. A roundtrip airport shuttle (available on request) and a train station pick-up service are complimentary for guests. This business-friendly hotel also offers tour/ticket assistance, multilingual staff, and gift shops/newsstands. Concierge services and a complimentary grocery shopping service can be provided. Complimentary self parking is available on site. Incheon Airport Hotel has designated areas for smoking. Incheon Airport Hotel has a restaurant on site. Airport shuttle service is available on request from 6 AM to 2 AM. Fees may apply. Contact the property in advance to make arrangements. Cribs (infant beds) are available for KRW 10000.00 per night. This property offers transfers from the airport and train station. Guests must contact the property with arrival details on arrival, using the contact information on the booking confirmation. Reservations are required for golf tee times. Reservations can be made by contacting the hotel prior to arrival, using the contact information on the booking confirmation.